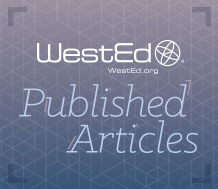 In this article, WestEd’s Anthony Petrosino, Claire Morgan, and Trevor Fronius describe the steps for completing systematic reviews and meta-analyses of crime prevention evaluations. The article includes a discussion of the challenges of knowing what works, a brief history and overview of meta-analyses, and examples of meta-analysis in criminal justice. Systematic reviews and meta-analyses have become a focal point of evidence-based policy in criminology. Systematic reviews use explicit and transparent processes to identify, retrieve, code, analyze, and report on existing research studies bearing on a question of policy or practice. Meta-analysis can quantitatively combine the results from the most rigorous evaluations identified in a systematic review to provide policymakers with the best evidence on what works for a variety of interventions relevant to reducing crime and making the justice system fairer and more effective. The steps of a systematic review using meta-analysis include specifying the topic area, developing management procedures, specifying the search strategy, developing eligibility criteria, extracting data from the studies, computing effect sizes, developing an analysis strategy, and interpreting and reporting the results.